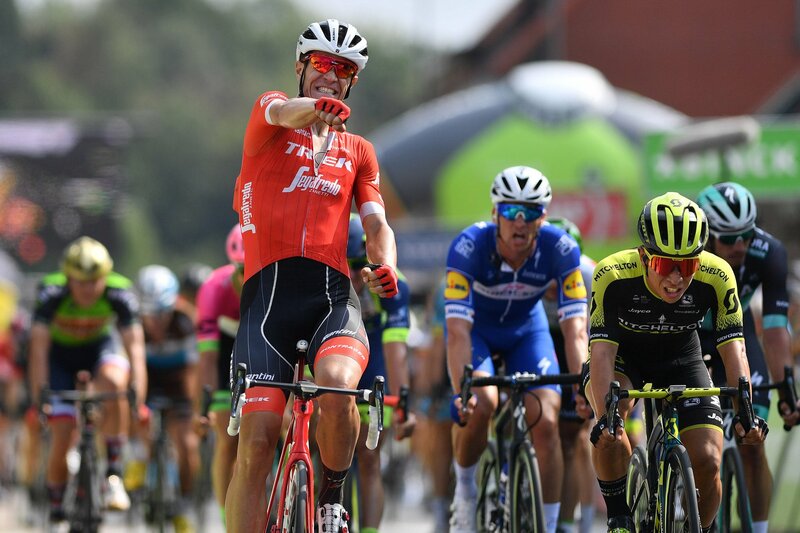 Jasper Stuyven (Trek Segafredo) claimed stage 4 of the BinckBank Tour today, after the Belgian rider commenced a late attack during the final kilometer that was enough to hold-off Caleb Ewan (Mitchelton-Scott) and Zdenek Stybar (Quick-Step Floors) after a frantic chase by the peloton. 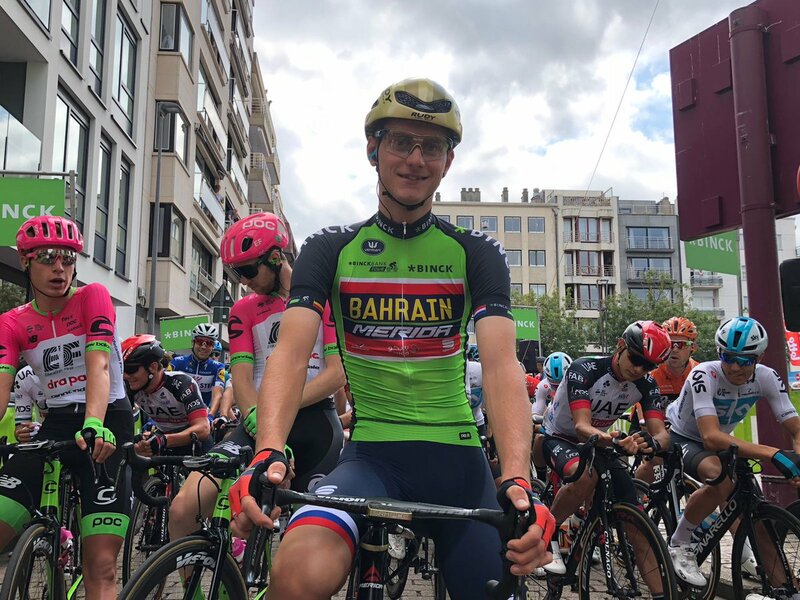 Meanwhile Matej Mohoric (Bahrain-Merida) extended his lead by two seconds in the overall classification, after responding to second-placed Sean De Bie’s (Veranda’s Willems Crelan) attempt to gain time during the Golden Kilometer, while Stefan Kung (BMC Racing) remains in third at 22 seconds back. The early breakaway was formed after only five kilometres with Thomas Sprengers (Sport Vlaanderen-Baloise), Elmar Reinders (Roompot-Nederlandse Loterij) and Lukas Spengler (WVA-Wb Aqua Aqua Protect Veranclassic). With a maximum gap of only 3:40, the three riders were caught with over 80 km to go, which prompted new attacks. A group with McCarthy, Kirsch, Edward Planckaert, van Ginneken, van den Berg and Gougeard tried to get away without much success. In the background the peloton broke up into three parts. The first two parts merged quickly, but riders in the third part had a tough time bridging the gap to the front. That chaos allowed four different riders to escape. Nick van der Lijke (Roompot-Nederlandse Loterij), Dries De Bondt (Verandas Willems-Crelan), Alex Kirsch (WB Aqua Protect Veranclassic) and Edward Planckaert (Sport Vlaanderen-Baloise) gathered around one minute. De Bondt came through in first place at the second Checkpoint, but Elmar Reinders scored enough points to become the new leader in the combativity classification. At the first passage across the finish the leaders were caught again, while big names such as Fabio Jakobsen and Sep Vanmarcke abandoned the race. The Binck Golden Kilometer proved to be spectacular with leader Mohoric extending his slender lead by two seconds. He now leads Sean De Bie by three seconds. While everyone was getting ready for a bunch sprint, Jasper Stuyven launched a surprise attack inside the last kilometer. Behind him a moment of hesitation gave the Trek-Segafredo a small margin, which he held until the finish. Caleb Ewan and Zdenek Stybar completed the podium.